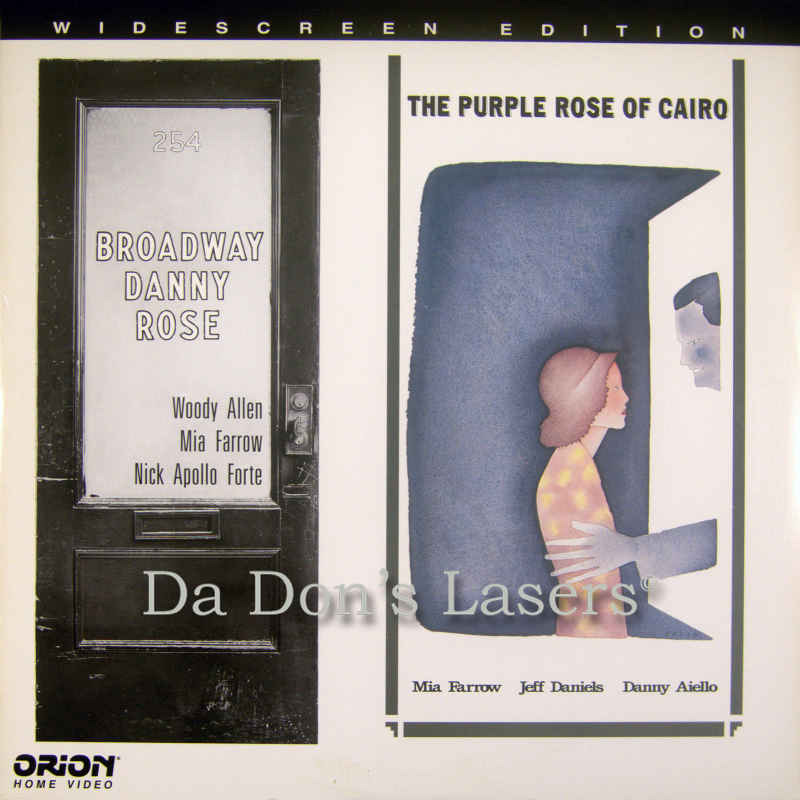 Broadway Danny Rose The Purple Rose of Cairo 1984 - 86 min. 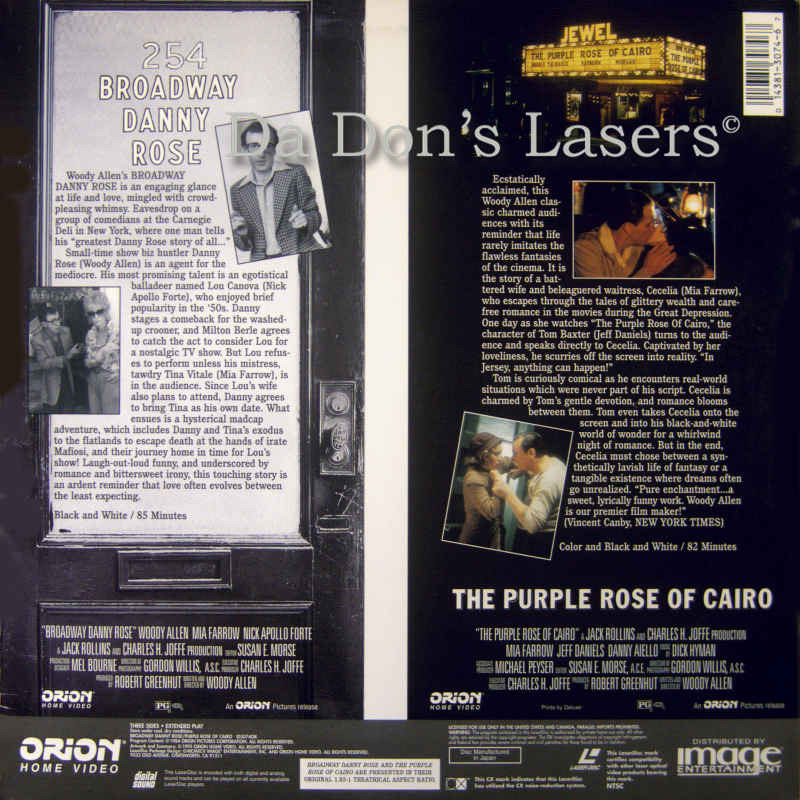 - Black and White Genre: Comedy Rated PG Country: USA LaserDisc Movie Storyline: A group of Borscht Belt comedians gathers at the Carnegie Deli to reminisce and tell anecdotes about showbiz legend Danny Rose. Danny is a no-luck Broadway talent agent with a heart of gold who shepherds his flock of dead-end performers with a sense of compassion and loyalty that borders on lunacy. 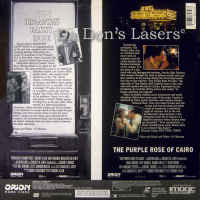 The few sad-sack clients of his who managed to garner some modicum of success ended up dropping Rose like a hot potato. Then along comes full-bodied Lou Canova, a throwback crooner with golden tonsils. Danny realizes that Lou has the ability to go somewhere, given the current nostalgia craze, and he coddles the big guy hoping that he'll be his ticket out of palookaville. 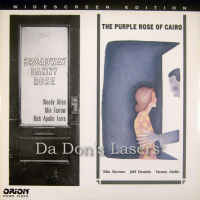 Rose eventually finagles a gig at the Waldorf; with Milton Berle in the audience scouting talent for his new television special, this could be Canova's big night. But Lou's troubled love life throws a shroud over the entire evening. The married singer has a girlfriend with mob connections, and after an argument with Canova she refuses to go to the show. Lou starts drinking again and in the midst of a mawkish emotional tirade threatens to cancel the performance if she doesn't show up. Danny must somehow infiltrate a Mob wedding and get the blonde moll to the Waldorf on time; if he fails, his last, best hope for success will go down the drain.